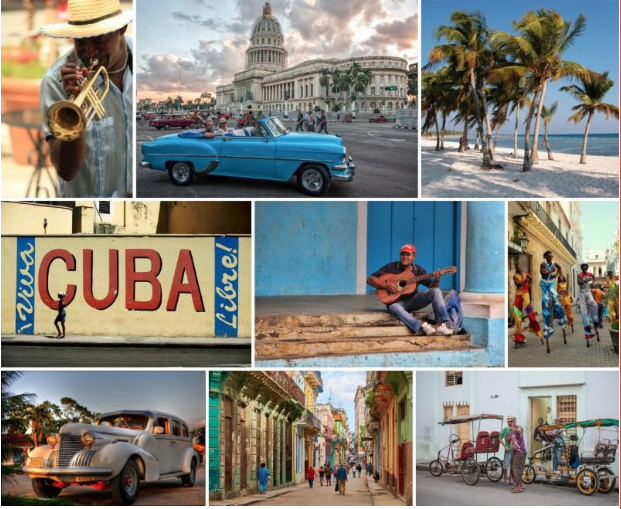 Join us on our 2019 adventure to CUBA. with option to extend dates, read below. We warmly invite you to experience the real Havana on this fascinating trip to Cuba. Discover the charm, immerse yourself in the artistry, and find secret places to discover all within this handcrafted tour. For all of you who are open-minded, ready to explore and enjoy the most extraordinary cultural hotspot in the world, come with us on this adventure. Roberto Pena & Jacklyn Shapiro (Four times US National Argentine Tango Finalists & Instructors), will return for the 2nd time to the Tango Havana Marathon, and you too, will have the unique opportunity to experience Tango though the eyes of the tangueros of Havana. Maestros Roberto and Jacklyn, alongside cuban tango instructors and organizers of the community have custom-tailored this tour to enhance your tango skills during the marathon while giving you the full Cuban experience. Dance at the local milongas of Havana. Admire live tango music and demonstrations. Eat authentic Cuban cuisine. Tour and enjoy local hot-spots and city attractions. Feel the comfort and companionship of going on this journey with Jacklyn and Roberto, their colleagues, professional guides, and other like-minded tango aficionados. Don't hesitate, this once in a lifetime journey will enhance your tango skills while giving you the full Cuban experince. **** PLEASE NOTE THIS TRIP IS OPEN TO ALL LEVEL TANGO DANCERS OR NON-TANGO DANCERS AS WELL... OPEN TO ANYONE WHO LOVES JAZZ, SALSA, MUSIC, TRAVEL. THERE WILL BE ACTIVITIES FOR EVERYONE. Would you like to join us for 2 extra nights at one of Havana's beautiful beaches?! All participants will be staying in a shared private house in walking distance to beach. Single rooms reserved for couples and shared rooms for singles. Room assignments will be determined as first come first serve according to paid reservations. INQUIRE ABOUT PRICING DETAILS NOW!